Simeone Museum Motorcycle Workshop - Eye of the Beholder, Inc. It has been a fantastic summer so far and coming up is an event to make it even better. On August 17th, from 11:00 AM to 4:00 PM, I will be leading a presentation on my unique method of motorcycle photography. 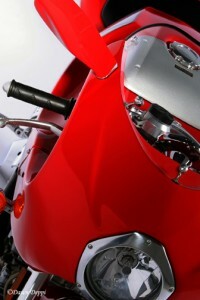 This is the Simeone Museum’s third Motorcycle Photography Workshop this year. Also Presenting . . .
Heather Krut, a Canon Camera Product educator, will be talking about the camera lenses and products that I use in my photo sessions. George Fennell, Regional Business Manager from Macgroup, will be discussing tools for metering light and calibration which I use in my sessions and computer work. Rich Weaver from New York Camera will be showcasing ways for photographers to get the cameras and tools they need to get the job done to absolute perfection. This workshop includes lunch and has limited seats available, so reserve your space now! For more information and to reserve your seat, visit Simeone Museum’s website.